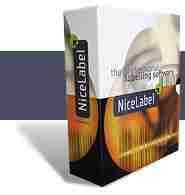 NiceLabel is the most advanced professional labeling software for desktop and enterprise users. With it's easy to use interface and our friendly customer support (which is also lightening quick!) it will save you time and a lot of headaches. NiceLabel is the "print engine" that ColorTree uses to generate labels. It runs "in the background" unless the user needs/wants to edit the Template layout.